Hope Springs Marina LLC was created on March 26, 1993. A partnership of four local businessmen was formed with the sole purpose of purchasing a marina. We were all boaters with a common desire to create a one-of-a-kind experience for boaters like ourselves. About three years later, one of the partners sold out his interest to the other three, who are still partners and friends today. The Marina had originally been used as a campground. Over time, a pier was added and the marina was named Cavalier Marina. Back then, Aquia Ski Club operated out of the marina. They had regular meetings here and actually had a ski-jump and slalom course in the cove across from the marina. In the mid-eighties, Cavalier Marina was sold and renamed Fairfax Marina by its new owner, who owned another business in Fairfax. 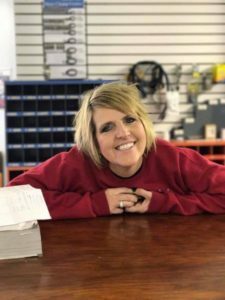 The new owner had big plans for expansion, including a crab house, tackle shop, indoor boat storage, picnic pavilion, 4 piers and a BBQ restaurant with entertainment on weekends. Unfortunately for him, the economy turned down in the early nineties and he was forced to sell. We were in the right place at the right time and were able to acquire it in 1993. Since then, we have been building out the original site plan with many modifications and improvements. The transformation is nearly complete; from a rundown, overgrown 45 slip marina/campground in 1993 to a beautiful, modern, state-of-the-art facility today. In our 25 years of ownership, we have greatly expanded our footprint here as well. We first acquired a 1/2 acre lot and house where we now store boats in the backyard. The house is gone now, but it’s picture is included in the book Then and Now – Stafford County by Anita Dodd and Amanda Lee. Next, we were able to purchase the house and adjacent lot across Hope Springs Lane from us which we use for overflow parking from the boat ramp. Several years later, we purchased 6 1/2 acres from the railroad, directly behind us running along the train track. Sometime in the future, we may be able to create more parking when needed. Finally, we were able to acquire the small triangle of land to the right of our entrance, where our sign and mailbox are. This now gives us a total of nearly 14 acres of land. Growing and creating this marina has been the most enjoyable, rewarding experience that I have ever had the pleasure to be a part of. I look forward to coming to work every day and treasure the time spent with all of my fellow boaters. Thanks for allowing me to live my dream! Jimmy was born in Fredericksburg and grew up on Boscobel Farm in Stafford County. He graduated from James Monroe High School and then attended Jacksonville University in Jacksonville, Florida. After graduation he was involved in many different business, including a grocery store (Jumpin’ Jim’s), Hotel (General Washington Inn), a fast food restaurant (Mr. Dee’s), and country music dance halls (The Silver Slipper, Cool Springs Landing and The Poplar Tavern). His boating life started at the age of 10 when his parents launched their boat at Belle Plains Boat Club on Potomac Creek every Sunday in the summertime. He has always owned at least one boat since then. He even spent one winter after college working on the fuel dock at Pier 66 in Ft. Lauderdale. His love of the water shines through by his display of pride in Hope Springs Marina. 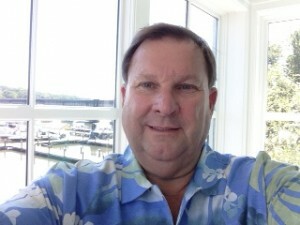 David was born in Fredericksburg, Virginia and spent much of his childhood boating, fishing, and crabbing in the Northern Neck, on both the Potomac and Rappahannock sides. He attended Stafford Senior High School and following graduation went on to graduate from Tech School in Philadelphia where he became Certified as a Marine Technician. Having grown up in the beer business working with his parents and grandparents, David is a highly skilled worker with a great deal of forklift experience. He is the lead forklift operator at Hope Springs Marina and is certified as a forklift operations trainer as well. He also possesses a 100 Ton Near Coastal Captain’s License! With over 10 years’ experience in the boating industry, he has held many positions, ranging from Fuel Dock Attendant to Marine Technician as well as having experience working in the Parts Department at a large boat dealership. We are extremely fortunate to have David as our Operations Manager and look forward to having his continued input towards the care and comfort of our customers. 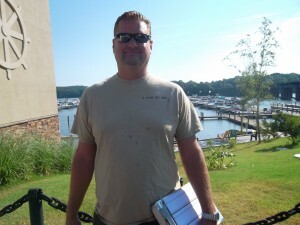 He loves boats and the boating industry and is a perfect fit for our marina! Larry has been a proud Virginia resident for his whole life. He was born in Fairfax, and graduated from Hayfield High School in Alexandria. Now living in Stafford, Larry performs a number of services around the county. He has been an employee of Hope Springs Marina for eighteen years, working security at our boat ramp and bottom painting boats as well. If you come to the marina on weekends, chances are you’ll meet Larry at the entrance. The weather may be hot some days, and he may be out in the sun for hours on end, but he always has a smile on his face and will treat everyone with kindness and respect. Larry also works security at our local Best Buy, making sure all electronic sales run smoothly and without any problems. When he is not out working his hardest, Larry enjoys boxing and boating; on the water is one of Larry’s favorite places to be. His fun loving and caring personality makes him a joy to work with. Carol grew up in Manassas and attended Osbourn Park high school. After graduation, Carol started working and has not stopped since. She lives in King George with her husband and they have four grown children, some with children of their own. She cares very much for her family, and enjoys spending as much time as possible with them. One of her favorite pastimes is riding on her husband’s Harley Davidson, which is something she tries to do often. Her caring and pleasant attitude makes her a joy to work with.